Boots for hiking in the winter are a unique product. They differ from snow boots, which are traditionally just a very well insulated slip-on style that doesn’t usually provide the best support and are ideal for shoveling the driveway or milling about town. 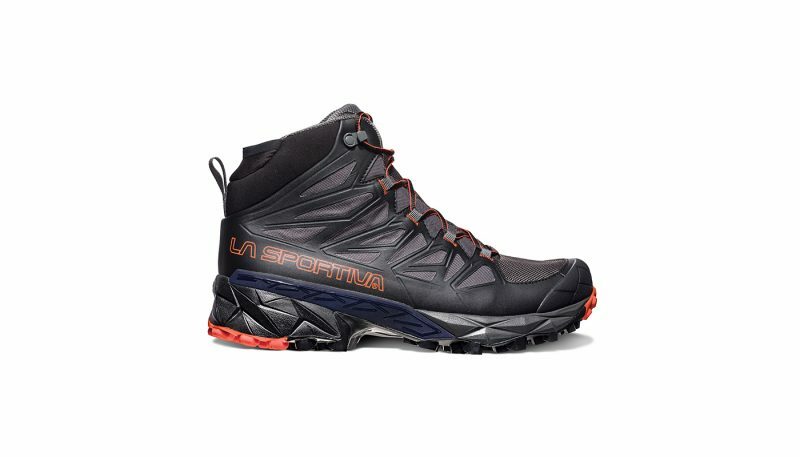 But for hiking a significant distance through the snow or in cold weather, users are looking for a boot that provides a little more insulation than a standard hiking or backpacking boot. One aspect to consider is to not have too much insulation where their feet get too hot while pounding out the miles. Like snow boots, it’s nice when winter hiking boots come up a little higher to help prevent snow from getting in the boot and users are often using snowshoes with these boots and look for features to accommodate that use. 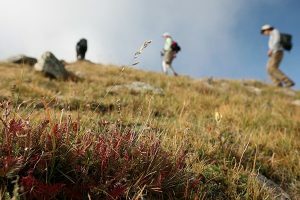 Wearing a hiking or backpacking boot that aligns perfectly to your individual hiking style is one of the most critical factors in determining your comfort level on, and enjoyment of, all the wonderful trails out there. 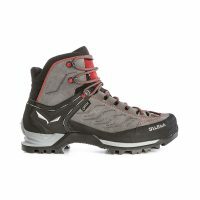 A good hiking or backpacking boot, provides the support and protection your feet and ankles require and limits potential for foot or ankle discomfort or injury. Insulated boots must walk a fine line between keeping you warm and keeping you from sweating, which will quickly cause discomfort on frigid days. 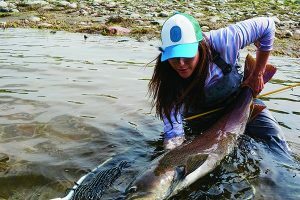 Dive into our reviews below comparing individual products. This way, you’ll be able to confidently choose the perfect footgear to match your specific needs. The Mountain Trainer Mid GTX are those over-achieving do-almost-anything pair of boots that tend to give other hiking boots an inferiority complex. 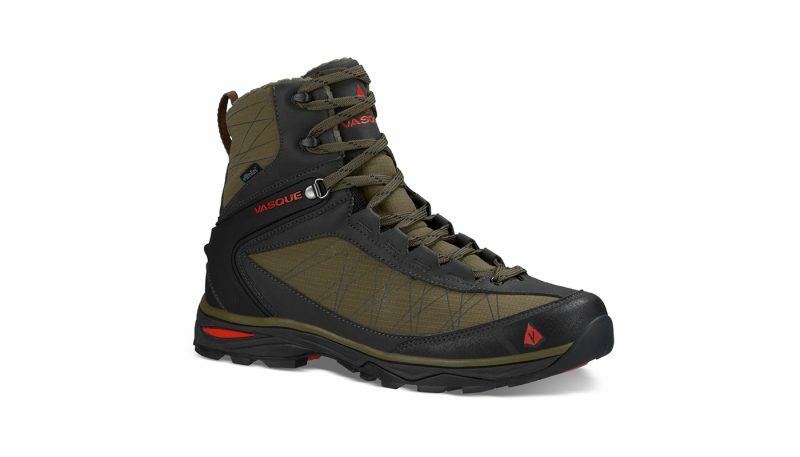 They provide all the support, stability, and protection that you’d expect in a mountaineering boot with the kind of comfort that’s typically only available in a light hiker. Designed specifically as a winter hiking boot, they are waterproof, provide excellent traction, and are warm enough to wear on most winter hiking excursions. The Wind River III are as comfortable of a pair of winter hiking boots as you’re likely to find, but don’t let that fool you into believing that they are soft in any way. They provide quality construction and the kind of durability to tackle any trek in the snow, regardless of how epic it might seem. The Coldsparks are great everyday winter hiking boots. They might not be sturdy enough for serious winter excursions, but for light hikes and snowshoeing, they are ideal and provide the best warmth-to-weight ratio of any of the boots we tested. The Icebug Detour BUGrip boots are a great choice for people who are looking for serious traction in a light hiker or an everyday winter commuting boot but they aren’t built to stand up to strenuous winter activities or long excursions. The days of the clunky cinder-block style winter boots are over. Today’s winter hiking boots are lightweight, durable, and waterproof. 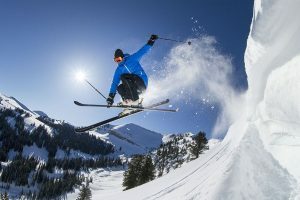 They are made to perform as well as their summer counterparts while still providing the warmth and protection from the elements that winter activities require. 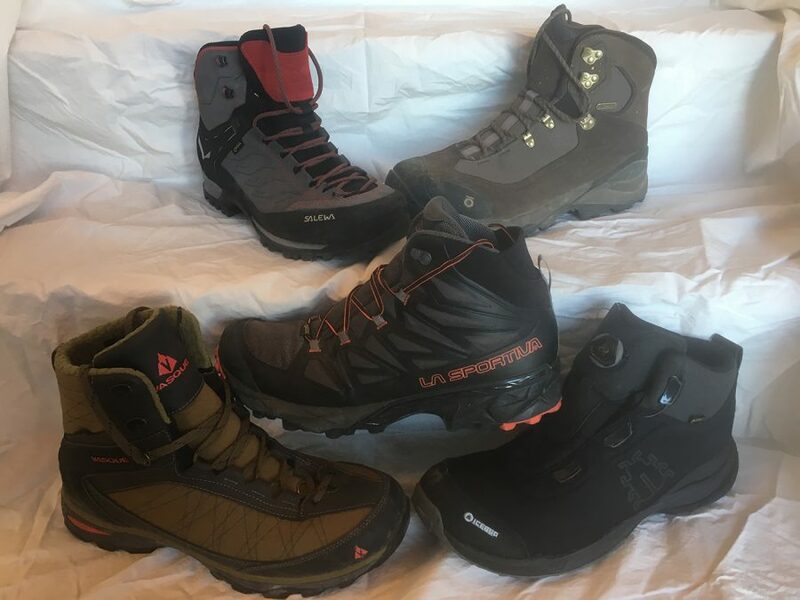 Still, not everyone is looking for the kind of winter hiking boot that is able to take them on epic excursions, so it’s important to understand what type of activities you’ll be participating in when choosing which winter hiking boot will be the best fit for you. For this category, we considered how well the boot held our feet securely in place and how well it supported our feet and ankles for long periods of time and over many miles of use. Another major consideration in ranking for this category was how much traction the boots provided on a variety of surfaces – including ice. 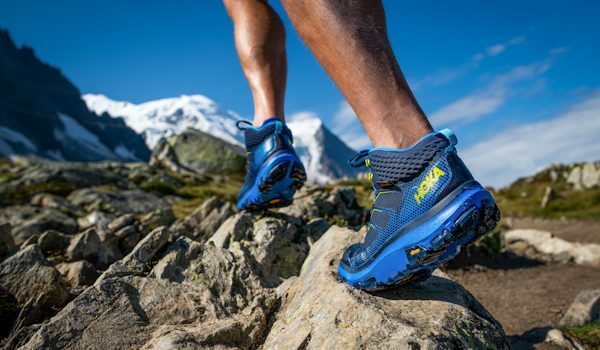 While the Icebug Detours undoubtedly provided the best traction of any boots in the test, the way that the Salewa Mountain Trainers wrapped around our feet and held them like a firm handshake made them the most supportive and stable boots in the test. This category is a little subjective since it’s impossible to accurately test the quality and durability of a boot’s construction after only a single season of use. However, there are many attributes that provide a good indication of the overall quality of a boot such as the stitching, eyelets, and materials used to make the boots. 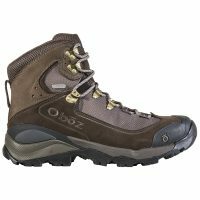 Both the Mountain Trainers and the Oboz Wind River III’s stood out in this category because it was obvious from the moment we took them out of the box that the manufacturers had spared no expense to make a pair of durable boots that would last for years regardless of how much you wear them or the kind of punishment you subject them to. The Blades and Coldsparks also scored high in this category, which speaks to the fact that book makers overall are trying to compete with each other not by cutting corners but rather by putting more resources into making the kind of quality boots that people want to wear. When it comes down to it, a boot is only good if it’s one you want to wear. And the only way you’re going to want to wear it is if it’s comfortable. 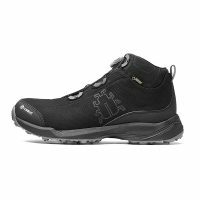 Everyone has different ideas of comfort, and everyone has different expectations on how comfortable a hiking boot should be. It’s hard to believe, however, that there’s anyone who wouldn’t agree that the Wind River is about as comfortable of a winter hiking boot as you could hope to find. 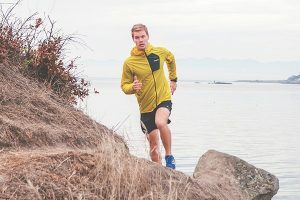 The fact that this comfort doesn’t come at the cost of durability or protection makes it all the more impressive, but the Wind River wasn’t alone in this admirable ability. 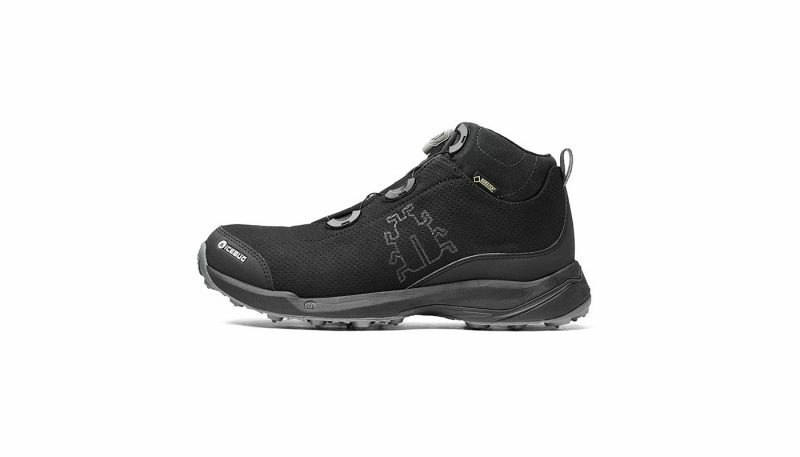 The Mountain Trainer’s sung fit and flexible support made it almost as comfortable as the Wind River and allowed us to often forget that we were wearing them. 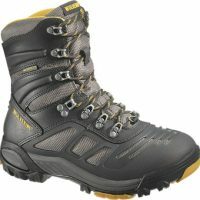 The importance of the weight of a winter hiking boot is largely determined by the activities you plan on engaging in. For short hikes and light snowshoeing, a heavier boot might not be a big deal. 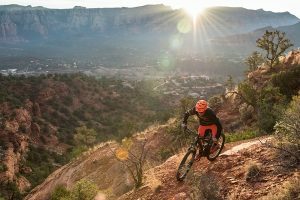 For serious winter excursions, however, you might want to shave off as many ounces as possible without sacrificing the kind of warmth and protection you’ll need to tackle longer treks. 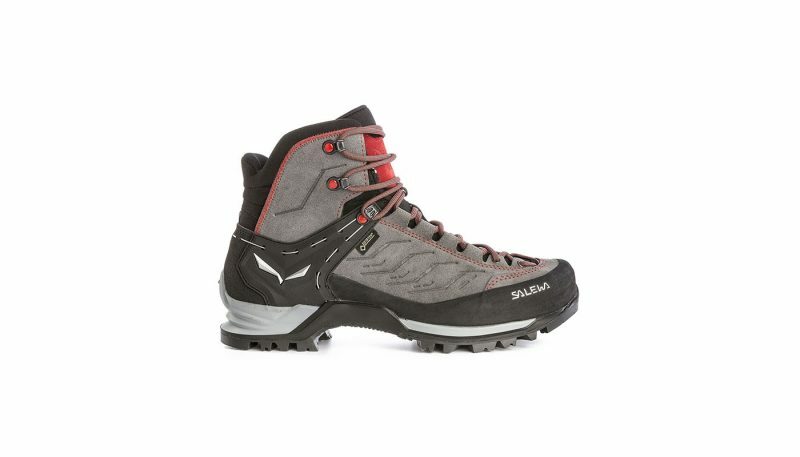 While the Blades were the lightest boots in the test, and provided an impressive amount of protection and durability despite their light weight, they might not be warm enough for long distance winter hiking. 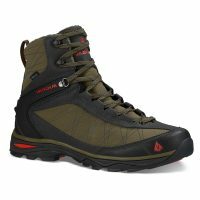 The Coldsparks, on the other hand, didn’t have the kind of stiff sole that serious backpackers normally look for in a trekking boot, but they were the warmest boot in the test while still weighing in at under three pounds. From rock edges and wayward limbs to ice shards and even the claws on snowshoes, it’s important for winter hiking boots to be able to stand up to some potentially adverse elements and provide your feet with the kind of protection that can prevent injuries. Part of that protection also means being able to stand up to the harsh elements of winter – including thawing streams and slushy snow – so in addition to ranking these boots for the overall protection they provided, we also tested them in spring snow conditions to see how well they kept our feet dry. Wile all of the boots in the test did a good job at protecting our feet from the slushy snow, the Mountain Trainer and Wind River provided the best overall protection for our feet. Both of these boots used high-quality, durable materials in the uppers and thick rands that wrapped around the entire base of the boot to protect feet from even the harshest elements. 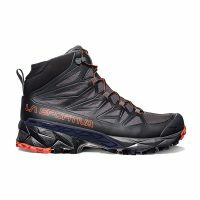 While much of the selection of the best winter hiking boot for you will come down to personal preference as well as the types of activities you intend to engage in, there are certain aspects of a winter hiking boot that you should never skimp on. 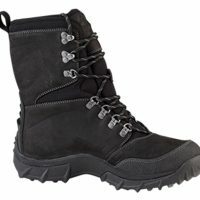 It’s always important to find a boot that fits your foot, your walking style, and your lifestyle, but this becomes especially important when choosing a winter hiking boot because when you’re cold and wet and tired, the last thing in the world you want is to have painful or uncomfortable boots. 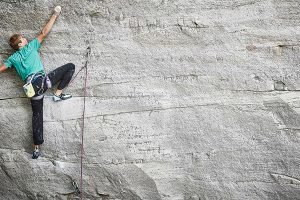 As boot manufacturers continue to raise the bar on quality and construction, this is becoming less and less of a problem, but it’s important to never take quality or comfort as a foregone conclusion. Whenever possible – especially if you’re planning on using your boots for long excursions – go to a reputable outdoor retailer and try on several different styles of winter hiking boots to find the one that fits your foot the best. While that might be the most imperative consideration, it certainly isn’t the only one. It’s also important to be aware of exactly what types of activities you plan on wearing the boots for. 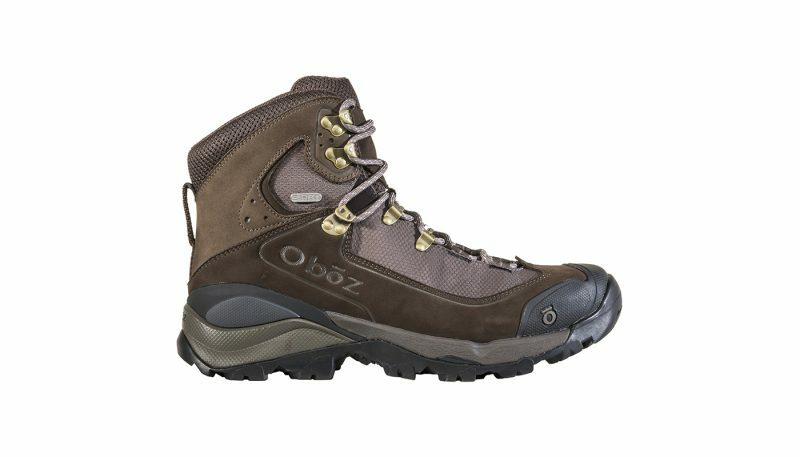 If you’re looking at shorter excursions and slower-paced activities, then you’ll probably want a boot that will keep your foot warmer, but if you’re hiking farther distances or engaging in more strenuous activities, then a boot with more support and protection and less insulation will probably be a better choice. As boots become more advanced in their materials and construction, they’re also become more specialized to better meet the specific needs of the people wearing them. While this means that you might have to have more than one pair of winter boots in your closet, it also means that each of them are more likely to function much more effectively than the clunky old boots we all grew up with.